Home » » Fishermen along with the tsunami affected gather for a huge protest Island wide to win their rights. 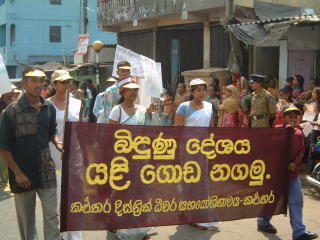 Fishermen along with the tsunami affected gather for a huge protest Island wide to win their rights. All the above mentioned facts reveal the irregularities in the relief activities on the part of the government putting the victims into a very pathetic situation. Ultimately who suffer..??? Is there a proper governmental plan? We are the victims of tsunami. The top level decision makers called TAFREN has been appointed by the government, but up to now they have done nothing to cater to the needs of the people. Through the documentary programs and other ways they are trying to promote themselves as the only savior of the people, but such boating statement are proved to be lies when visit the tsunami affected areas and when we meet the victims. So how we can help the poor tsunami victims? The government has the power with all the tsunami aids, but the affected people have the power with all the voices to own their rights. 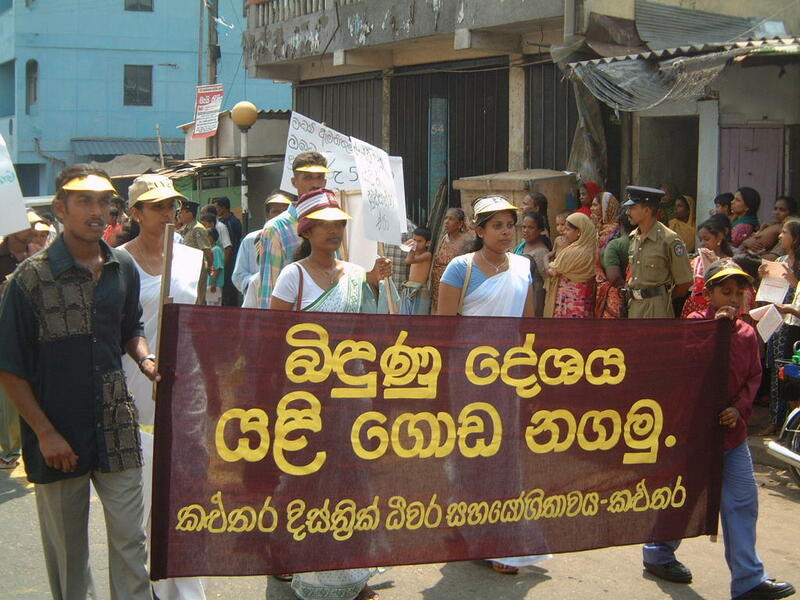 Today, the 15th of July 2005 People are ready to get in to the roads against the tyrannical ruling procedures of the Sri Lankan Government and to awaken the authority to perform a sincere and honest service to create a normalcy in lives of the tsunami victims. A series of protests will be held in seven districts including ten locations. All the members of our partner organizations, the tsunami victims in the camps, the fisher leaders are waiting to flock together in the protest. The hot news about the protests will be published an hour to hour. Therefore please be on line……………..